Maybe my Parkrun 5K personal best (PB) of a week ago was too much, just a week after a marathon PB. Last Monday I woke up with all the symptoms of a nasty cold coming. Knowing I had my first double marathon coming up this weekend (the Snowdonia Marathon on Saturday followed by the Leicester Marathon on Sunday) I started overloading on slow release 1000mg vitamin C tablets, Day Nurse and Night Nurse. I figured a good sweaty run of 5 miles on Tuesday would kick it out of my system and I actually felt better for it . . . until Wednesday, when the bugs moved to my chest. A general rule that usually holds true in running is that if it’s a head cold carry on gently for no more than a few miles; if it progresses to the chest, leave the running shoes in the cupboard. Friday: decision time. I was trying to convince myself I felt better. After a triumph of hope over common sense it was a longer than expected drive to Llanberis in North Wales to register for the Snowdonia Marathon at 11 at night and, feeling grim with a rattling chest, only then did I start to wonder if it was wise to turn up on the start line a few hours later. An absolutely miserable night of no sleep at all followed as my head pounded and I was continuously backwards and forwards to the toilet coughing up my sticky innards (yep: yuck!). With the alarm going at 7.30 I sounded like a wheezy 80-year old on 30 cigs a day: with my cold now firmly in residence in my chest there would be no Snowdonia Marathon for me, and no Leicester Marathon either. So after breakfast it was back in the car for a 3.5 hour drive home about 10 hours after we’d arrived. And straight to bed. Rather than clocking up my 52nd marathon, yesterday was spent largely asleep and today saw a long lie-in, still dosing up on various remedies. It’s disappointing as last week I was physically and mentally ready and looking forward to a couple of days of easy, long running, but not starting the two marathons was definitely the right decision. 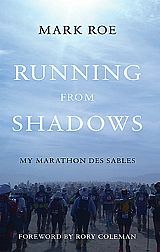 Those marathons, in and of themselves, were not the goal; they were part of the training plan to get me ready to run 140 miles across the outback of Cambodia in 5 weeks’ time. With such a small window of training time left, now is the time to get a bug over and done with and try hard not to get another. Still, the upside has been more time this weekend to get my kit list and food/calorie plans together for the race (and 25% off a pair of running shoes at the expo at Snowdonia Marathon registration!). The short-term goal now is to get fit and healthy again for my next double marathon target in two weeks’ time!